GP Practices and Community Pharmacies can now order printed copies of the Patient Booklet and Alert Card. Printed copies are also available for use in hospitals across NHSGGC. If you work within NHSGGC, please refer to this memo for ordering details. 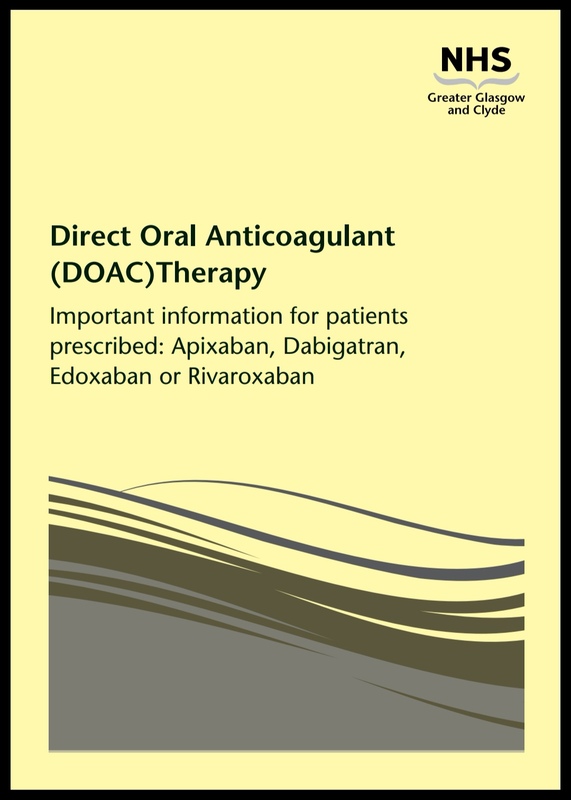 Click on the following links for the electronic versions of the Direct Oral Anticoagulat (DOAC) Patient Information Booklet and Alert Card. We would like to hear what you think of the DOAC Patient Booklet and Alert Card. If you are a patient or a healthcare professional please leave us your feedback using this anonymous survey. A patient information sheet for the survey can be found here.